Although there are many types of lice removal products available on the market, not all of them offer natural cure to the problem. Many of these products contain harsh, toxic chemicals and pesticides that can be dangerous for your family. Never trust any random company for their products. Select a line of products that offer effective and safe lice removal while being gentle on your hair and scalp. Use The Lice Place’s Houston Lice Removal Products that offer a natural way to stay lice free forever. The Lice Place is a lice removal franchise that has been working in the industry for many years. We have the highest publicized success rate throughout the country. 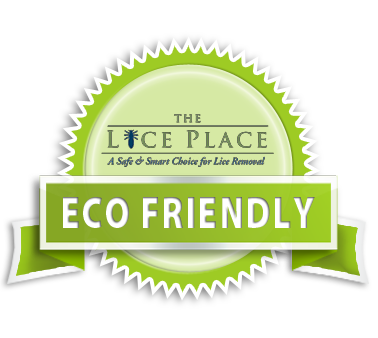 The Lice Place has a proven record of making thousands of children and adults lice free. Our treatment method is pesticide free and non-toxic that offers complete, natural and 100% cure to the lice infestation. No matter how severe the infestation is, we diagnose and treat it with equal efficiency and dedication. The Lice Place has also developed a full range of lice removal products, including TLP terminator comb, TLP shampoo, TLP conditioner, TLP mousses, spray and brushes. All these products have been created using natural ingredients and oils, like Neem oil and peppermint. They are totally pesticide free and do not contain any dangerous chemicals. They offer natural safeguard from future lice infestations and also help make hair soft and shiny. If you use them on a regular basis, you will never ever get head lice and nits. The products available at The Lice Place can easily be ordered online. They are offered at affordable prices and will be delivered in the minimum time possible. You can use them at home or when you are out of the town. The professionals at The Lice Place offer expert guidance to prevent future lice infestations. If you follow our advice along with using our Houston Lice Removal Products, you can keep your family free of lice and nits today and in the future. Call us at 713-667-5423 if you have any questions about any of our products.